VTA has created an interactive learning lab, where students, staff and technology partners can collaborate on a wide variety of innovative transportation projects. The Innovation Center includes workstations where participants can develop, test, and showcase new technology that will improve the transit customer experience, as well as optimize the functioning of our vehicles, freeways, and other transportation infrastructure. Businesses and community groups have been enthusiastic about this new opportunity to contribute to the exciting projects that VTA is working on, offering ideas for future projects, as well as talking with staff about their vision for creating a world class transportation system in Silicon Valley. 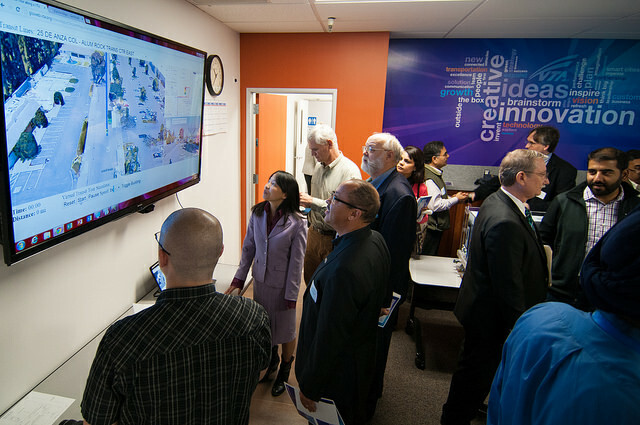 If you would like to discuss opportunities to showcase your technology in our new Innovation Center, please contact Manjit Chopra, Innovation Technical Project Manager, at manjit.chopra@vta.org.